Hub sites and communication sites offer rich experiences across your intranet. As business goals and team structures evolve, so too must your sites and the content that lives within them. We continue to add functionality to make it easier to create and configure any sites intent and outcome that you need throughout your intranet. Add rich colors to the hub site header – you will now have choices beyond the color white. It’ll be easier and more flexible to adhere to your preferred company theme and brand colors across more aspects of the sites and pages. Approvals for hub site association – a flexible approval process further empowers hub site owners and site owners to make requests and programmatically adapt to changes within their growing, dynamic intranet. Site scripting during hub site association – once a site gets associated to a hub site, it not only inherits the theme of the hub site, it can now be further configured using powerful site scripting methods to enforce permissions, shared metadata, preferred content management, brand elements and policies. Program site scripts to run automatically when a site is associated to a hub site to adhere to preferences for that family of sites. 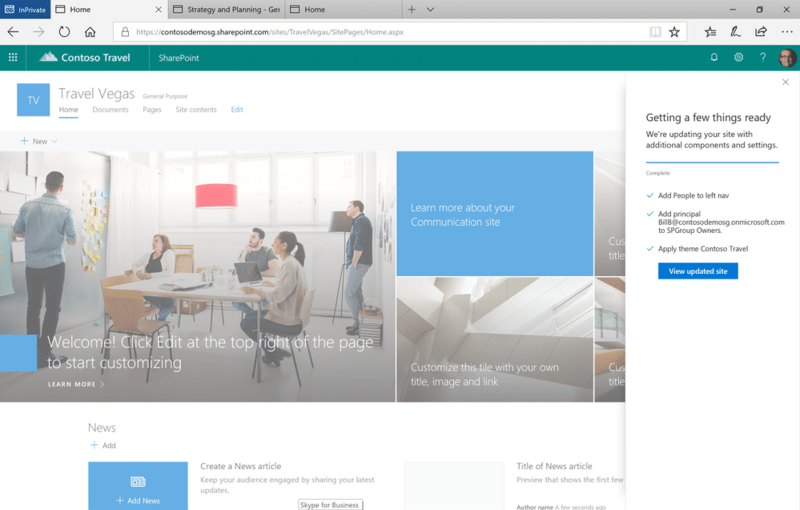 Communication sites on-premises in SharePoint Server 2019 – like the benefits of “going modern” on-premises with team sites, SharePoint communication sites can be created and configured within SharePoint Server 2019. New and updated web parts. Sites pull in content from across Office 365. To do this dynamically, and with flexibility, SharePoint news articles and pages use powerful, data-rich web parts, which you can configure to your needs as you design the look, feel and content of the information you share. Weather – allow authors to configure showing the web part to show weather information provided by MSN Weather for a given location. You can now add the weather of any city to a page, and text overlay for images on your pages and news. Image web part: text on image – enhance your images with hyperlinks and allow authors to overlay text on images. Document library and lists web parts updates – It’s even easier to engage with documents and lists on a modern page with tile view and drag and drop upload. Now with custom views, grouping, sorting, filtering, column formatting, and drag & drop upload. Stream updates – no matter where you view a news article or page, you can expect that videos playing from Stream will look and playback beautifully – even when you are viewing them within the SharePoint mobile app. There, too, are channel improvements to help view and playback a complete set of videos in the context of your site or news article. Yammer updates – when you add a Yammer web part to a site home page or a news article, you can better able the preferred scoping of the groups that can be scoped to that site. We’ve also updated the interface to enhance how people can engage in the discussion – with richer feed with interactions like liking, @mentioning, adding content, and more. We encourage you to build out and organize your intranet. Establish the sites you need and ensure your users can create the sites they need. Once established, associate them to hub sites to organize related sites and projects. As you progress year over year, keep creating and sharing dynamic, data-rich news articles. 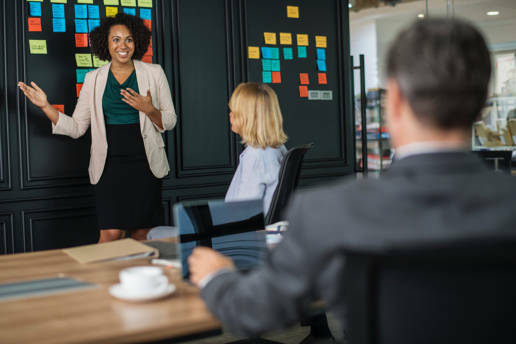 SharePoint powers your intranet to better promote and organize people, content and activities throughout your connected workplace. The sites that you create – of all types – are at the center. You create sites in seconds, and they are mobile ready from the get-go. They support various scenarios like internal cross-company campaigns, product launches, events and more. As you grow, your intranet evolves as an immersive, business-critical asset for the company. Organizational news + team news. 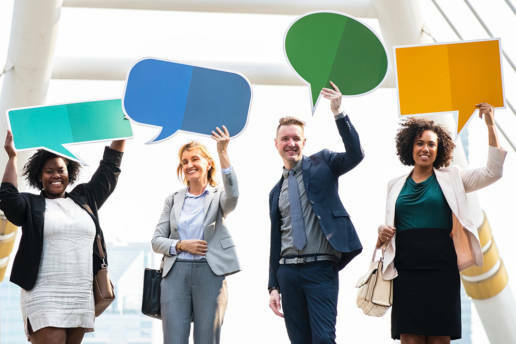 Open, transparent communication is critical to employee engagement. For nearly two decades, employee communications have centered on company-wide emails. Now, you can communicate your message with rich, compelling, and interactive content including documents, video, polls and surveys -- dynamic data dashboards. Today, we’re excited to share how news evolves to ensure your message lands with users—across devices, geographies, and time zones. You can engage your audience about important efforts in a more-targeted fashion. Select which site sources you want to pull content in from – news web parts filter news from a variety of source sites, filtering based on content you want to show, in the layout you find most conducive to your overall site vision. 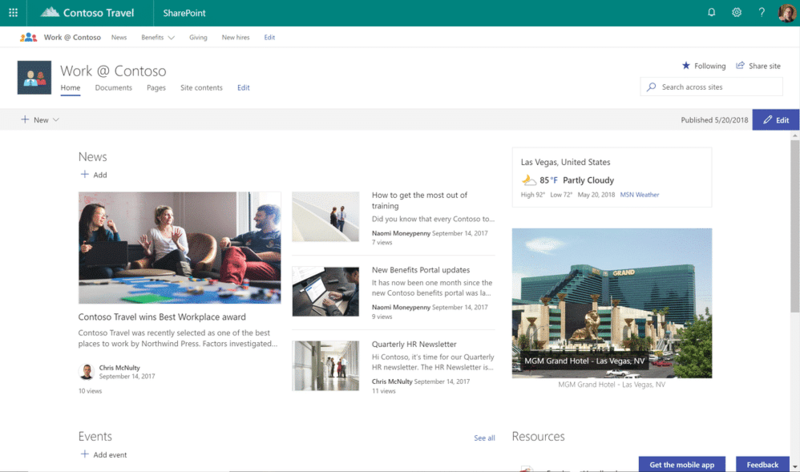 Hub site news web part update – the unique ‘hub layout’ in the news web part for SharePoint hub sites will provide additional capabilities like pinning news articles, a new compact layout, and carousel support. Choose from a new variety of news layouts to best promote your news on your pages. Save for later – you can now save news articles to catch up on later, right from the Web interface of your intranet - as you can today on mobile. Simply click Save for later from the bottom of the news article and it gets added to your saved list, accessible from the Me tab in the SharePoint mobile app. You will also be able to access your saved list from SharePoint home. Now you will be able to save pages and news to read later, right from the Web interface. Click "Save for later" at the bottom of any page or news article. Deem specific sites as “organizational news sources” – as news rolls up to people across their SharePoint home in Office 365, or via the news tab in their SharePoint mobile all, the news that comes from “organizational news source” sites will get special visual treatment bubbling up to the top of one’s view. Page management updates. The balance of a modern intranet rests in between the dynamic display of information and the ability to better curate and target who can see what – all without customization and without page proliferation. With this coming innovation, communication sites are ready to tackle your most demanding portal scenarios. How do you defend against cyber attacks?